Guys I've fallen in love with this soup. I've made it three times in the last few weeks and I would make it every week if I could. 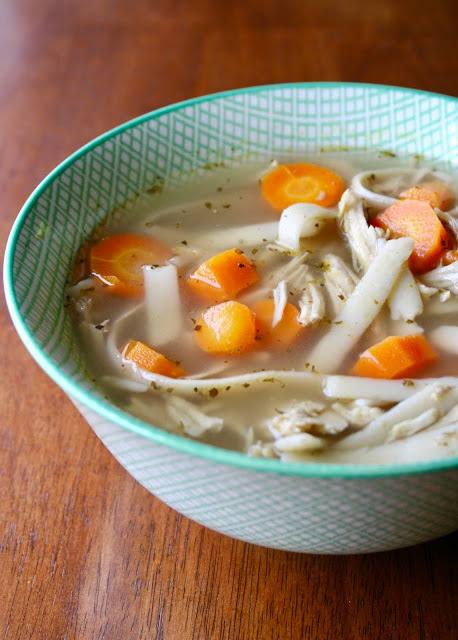 It's the perfect comfort/feel-better soup and I highly recommend it. The chicken and carrots melt in your mouth and the broth is perfectly flavored with herbs that make it irresistible to drink. Just don't make the mistake I made the first time where I added a whole teaspoon of pepper and it was so spicy we had to drain the broth to be able to eat it...I found out the hard way that a dash of pepper is plenty! 1. Add the onion, carrots, chicken, chicken broth, water, parsley, oregano and thyme in a slow cooker pot. Salt and pepper to taste. 3. With 1 hour remaining, remove the chicken and shred with two forks on a plate. 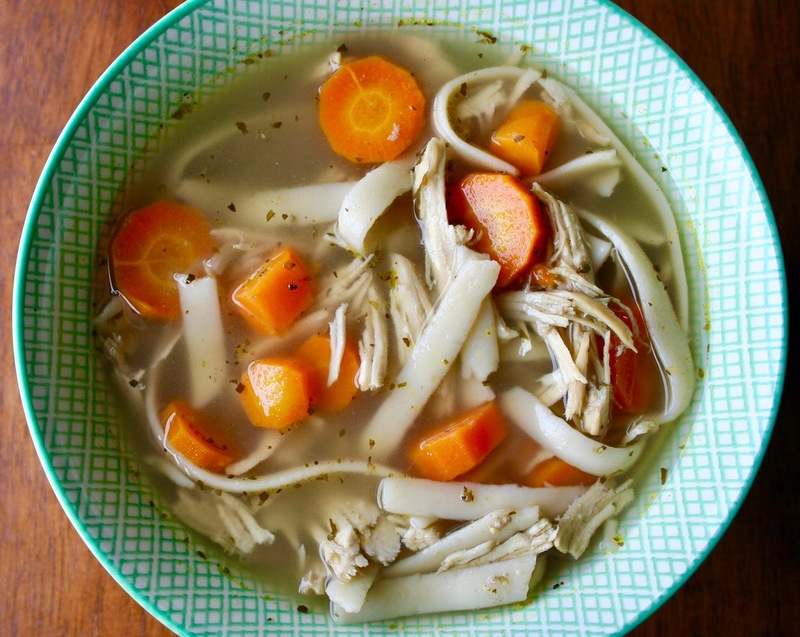 Add chicken back into slow cooker along with the noodles and allow to cook the remaining time.